Today’s episode of Ishqbaaz starts with Shivay(Nakuul Mehta) in Priyanka’s room as he goes through her things. Shivay cries as he remembers her. Khanna informs him that Daksh is here. Daksh walks in and Shivay lashes out at him for running away from the wedding. Daksh then sees this chance and says that he ran away because he had no choice. He says that Anika(Surbhi Chandna) had blackmailed him about exposing the video of Shivay in which he had confessed about his family. Shivay puts two and two together as he is convinced that Anika is his culprit. Shivay takes Daksh to Priyanka. The doctor tells them that Priyanka might never recover from the coma. Shivay is shattered. Daksh instigates him further saying Anika just wanted to have him and for that, she took his Priyanka so far away from him. Anika gets a visit from Nikhil’s mother who hands over the shagun to her and says that the family has forgiven her. 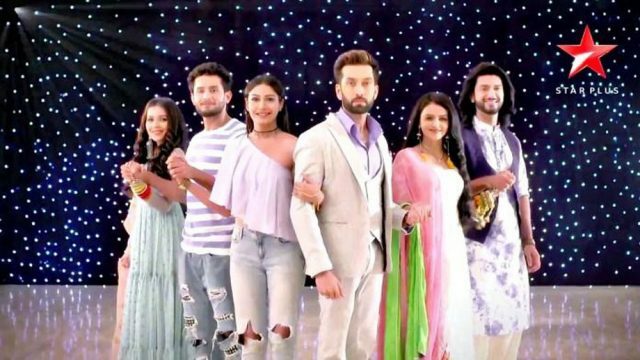 Gauri and Sahil celebrate this news and Anika prepare for her future as she is relaxed that about Priyanka being safe now. Anika and Nikhil sit for their wedding, and the rituals begin. Shivay drives in and says that Anika cannot marry Nikhil. He acts like Anika is angry with him about something. He says that he and Anika had a relationship. He goes on to add that he and Anika had an intimate relationship. This leaves everyone shocked, and Nikhil is furious at Anika. Previous articleYeh hai mohabbatein written episode of 27 july 2018: Pihu welcome Roshni and baby.